Soda & Swine is a creative meatball eatery with lots of small to medium sized bites. We visited the Liberty Station location. 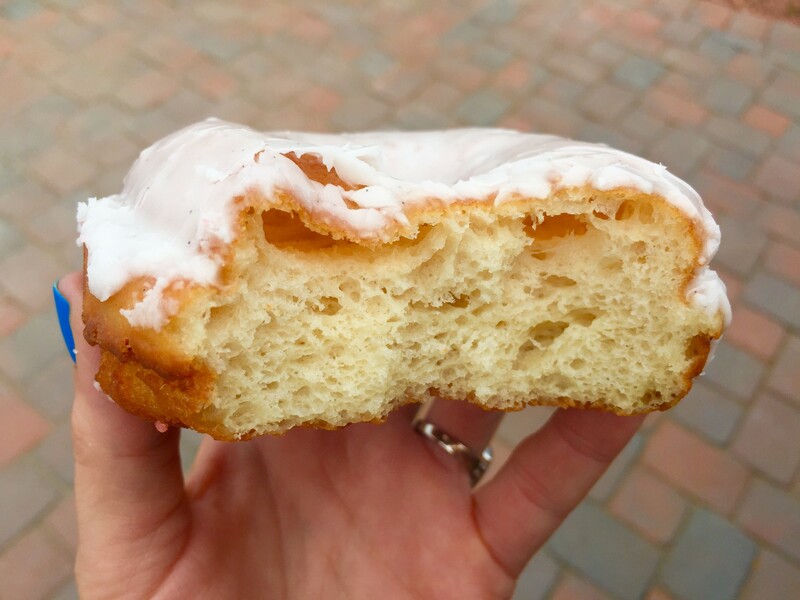 It has a gold bar, old-fashioned looking baking area with pies on display, sunroofs adding lots of natural light, wood covered walls, a 20-foot foosball table that works as a community table, plenty of seating, and an outdoor patio with more seating. You order your food upon entering Soda & Swine, then seat yourself and your food is brought to you. You can also order from their wide selection of sodas. On the other side of the registers are the pies, they have a couple different types of apple pies, seasonal treats and soft serve ice cream. The next stop is the bar, it is a full bar where you can order a cocktail, wine, beer (lots of local crafts), and if you are feeling funky, a champagne slushy. We got some suggestions on what to order for lunch from the employee at the register. 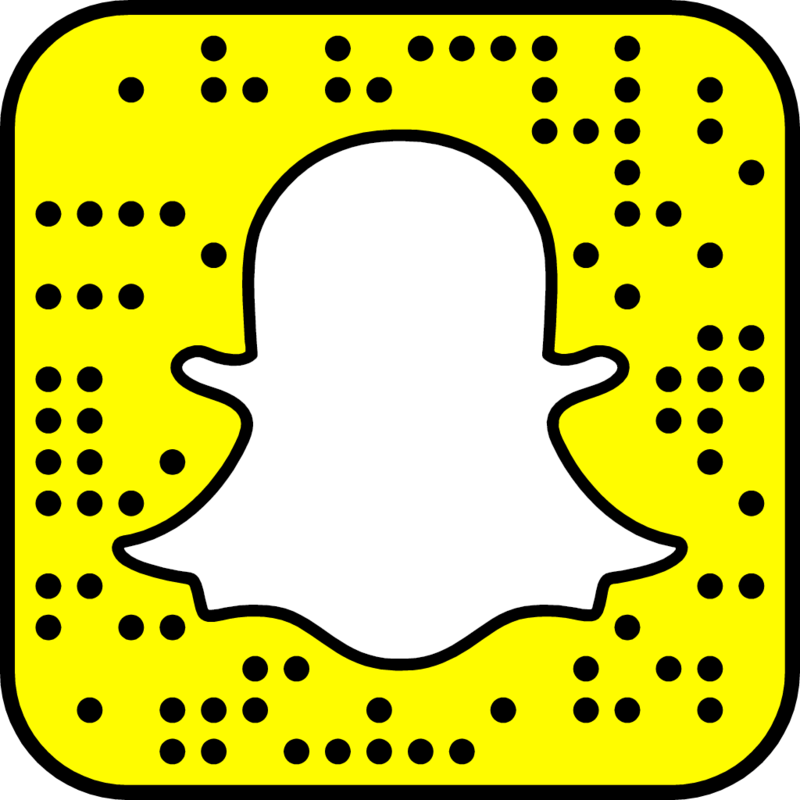 You can check out their menu here for yourself. Soda & Swine has several meatballs to choose from, such as, smoked pork, chorizo, chicken, beef and quinoa meatballs. 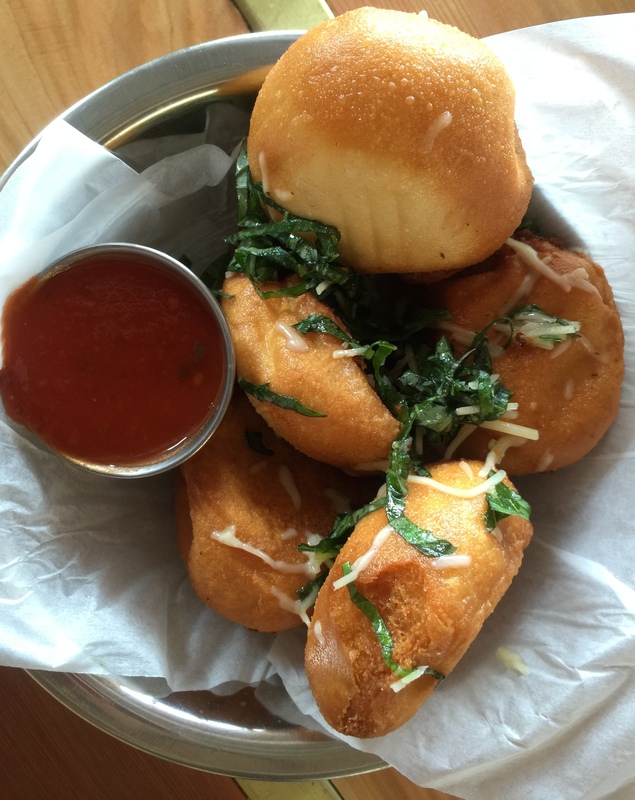 You can order your meatball as a slider, submarine, spaghetti, or 3 meatballs in a skillet with sauce and cheese. Once we picked our meatballs, we ordered some sides as well and set off for a table. The food started to arrive quickly, but not everything came out at once. We liked this system since we ordered a bunch of different items to give a try so it was like having appetizers, entrees and dessert. 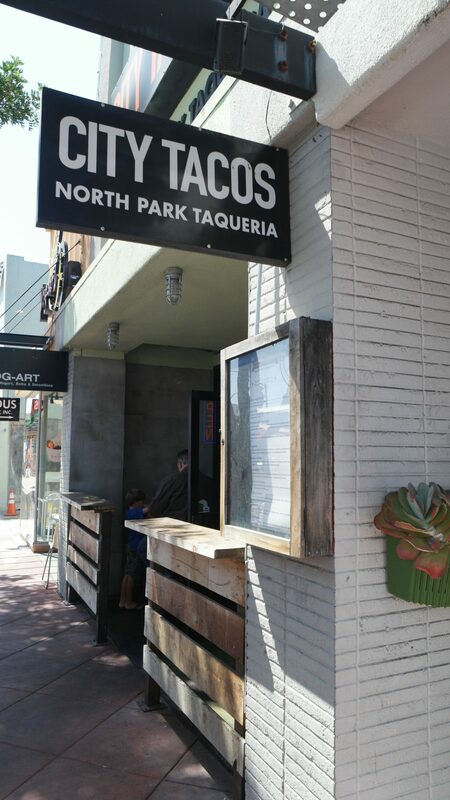 City Tacos is a Taquería located in San Diego’s North Park neighborhood. 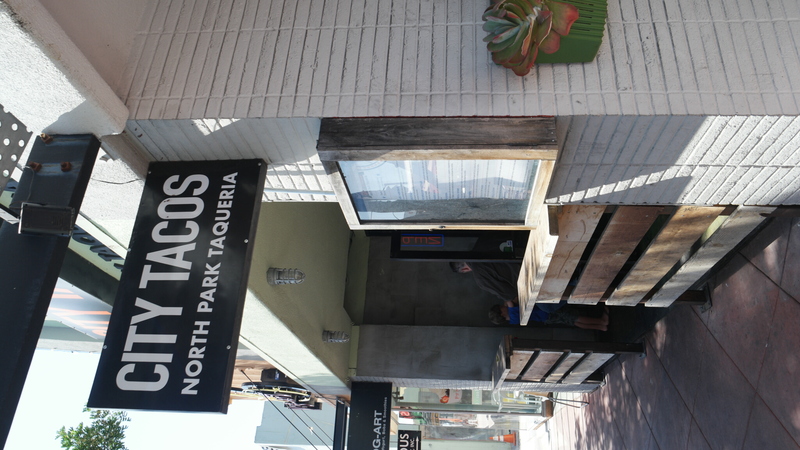 I would describe City Tacos as true Mexican flavors and traditions with a touch of Southern California influences. 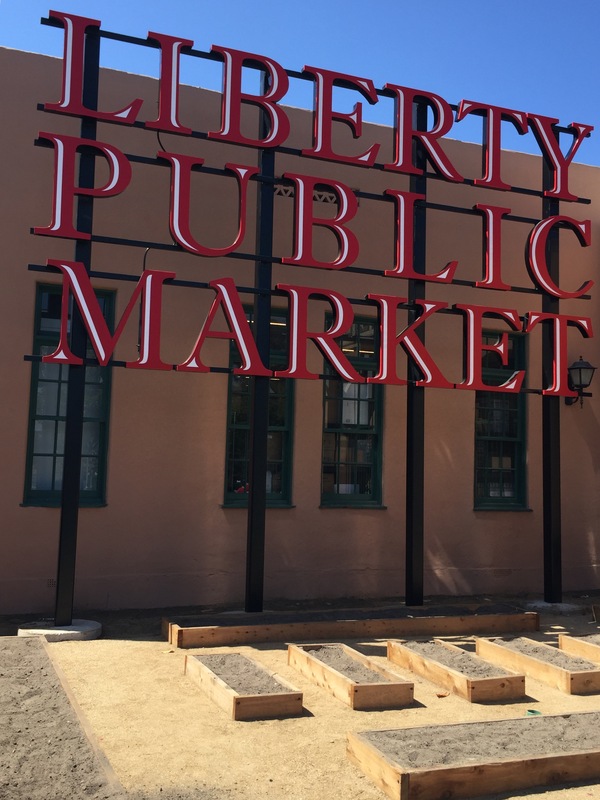 We recently checked out the new Liberty Public Market at Liberty Station. Liberty Public Market offers the best fresh and local flavors. It reminded me of Grand Central Market with the rustic environment and prepared foods, produce, seafood, pasta, beer, wine, cocktails, coffee, pastries and desserts.